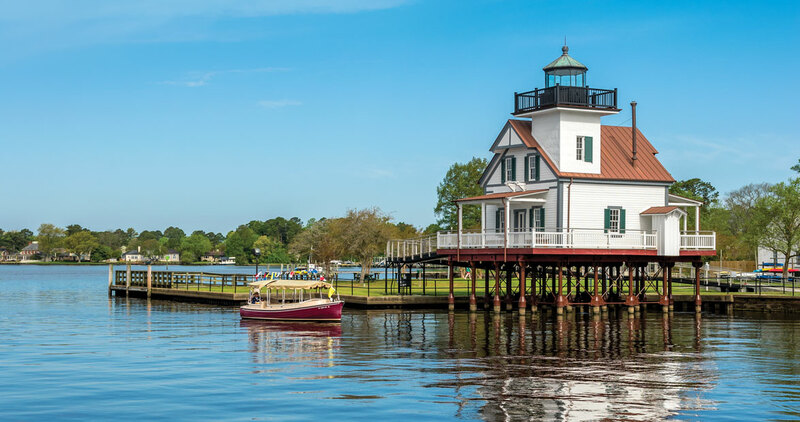 North Carolina has plenty of lighthouses that are worthy of celebrating, but Edenton’s Roanoke River Lighthouse stands apart from the rest. Built in 1886, the historic lighthouse looks like a charming coastal home, but the beacon once helped guide ships to safety across Albemarle Sound. Now, it stands proudly in the Edenton harbor on the Chowan River. On National Lighthouse Day, explore the lighthouse for free from 10 a.m. to 4 p.m. and revel in our nautical history. Learn more: (252) 482-2637 or edentonlighthouse.org. Join Charlie Brown and the rest of the Peanuts gang as they take the stage in this musical looking back on some of the most memorable Peanuts moments. Learn more: (828) 884-2587 or thebrevardlittletheatre.org. More than 400 cars, trucks, and motorcycles will line Main Street on Saturday, accompanied by live music and local food vendors. Plus, don’t miss the chance to see the vehicles in action — Friday will feature a cruise-in from 6 p.m. to 8:30 p.m. Learn more: (828) 247-4417 or townofforestcity.com/car-show. An arts workshop and a free concert will kick off this event, hosted by the Florence Thomas Art School, which features artist talks and keynote speaker Gayle Winston. Learn more: (336) 846-3827 or florenceartschool.org. This festival at the Cowee School Arts and Heritage Center features everything Appalachia, including bluegrass music, pottery, hands-on crafts, Civil War reenactors, and Cherokee history. Learn more: (828) 524-6564 or franklinfolkfestival.com. Browse art and other goods from regional artisans at this two-day show. Folk art, metalwork, carved wood, weaving, and even honey will be on display. Learn more: (828) 787-2021 or facebook.com/villagesquareshow. Indulge in a multicourse alfresco meal prepared with delicious local ingredients by Biltmore chefs. The event is hosted by TRACTOR, an agricultural nonprofit that strives to spread awareness of local agriculture and increase farm income in the community. Tickets are required. Learn more: (828) 536-0126 or tractorfoodandfarms.com. This annual festival offers two nights of the traditional music and dancing of southern Appalachia. Both nights will include a variety of the region’s fiddlers, string bands, ballad singers, square dance teams, and more. Head to the Historic Earle Theatre for a matinee viewing of Disney’s Tangled. Free admission to both of the day’s showings ensures a magical experience for the whole family. Original and influential works by the former chief features artist for Women’s Wear Daily will be displayed at the Captain James and Emma Holt White House. Learn more: (336) 226-4495 or alamancearts.org. You’ll be swept down the Mississippi River with Huck Finn, Tom Sawyer, and friends when the Anson Players perform Mark Twain’s timeless classic at the Ansonia Theatre. Their adventures will come to life on the stage with humor and suspense. Learn more: (704) 694-4950 or ansoniatheatre.com. Celebrate conservation in North Carolina at this fund-raiser, which will feature local farms, food, spirits, raffles, and lots of dancing at the F&M Trolley Barn downtown. Tickets are required. Learn more: (704) 647-0302 or landtrustnc.org. Let loose to the sound of award-winning bands Zephyr Lightning Bolts and The New Smokey Valley Boys as they perform at the Historic Earle Theatre. These two groups continue to keep the old-time dance tradition alive in North Carolina. Visit uptown Roxboro for this festival chock-full of entertainment from musicians, singers, and dancers. Check out the amusement rides on Main Street or peruse the unique offerings of craft and food vendors. Learn more: (336) 599-8333 or facebook.com/personalityfestival. Hundreds of vendor boutiques will fill the convention center with fashion, jewelry, gourmet treats, health and beauty products; an event perfect for a ladies’ day out. One of the largest juried art fairs in the country, this festival has been a popular downtown event for decades. Dozens of artists will showcase their talents, while food, live music, and kids’ activities will keep little ones entertained. Scout handmade, antique, and repurposed items from local vendors during this afternoon market. Live music and food trucks will also accompany you on your hunt. The artist-owned Hillsborough Gallery of Arts will feature paintings by Chris Graebner and Lolette Guthrie, and blown glass by Pringle Teetor. An opening reception will be held on August 31. From the Morningstar Marina, swim, kayak, canoe, and paddleboard your way across Lake Gaston during this annual fund-raiser. If you prefer to bypass your sea legs, you can also traverse the route on the adjacent Eaton Ferry Bridge. Rain or shine, the event starts at 9 a.m.
East Coast artists will display their work on the downtown Manteo waterfront for this family-oriented show. Hosted by Dare County Arts Council and the Town of Manteo, this annual event is in its 37th year. Learn more: (252) 473-558 or darearts.org. Learn about the history of pirates on the Outer Banks when Blackbeard’s crew invades Jockey’s Ridge Crossing for a realistic 18th-century living history encampment. On this 300th anniversary of Blackbeard’s death, little ones can see if they have what it takes to be a pirate at “Scallywag School,” which offers courses in musket drills, sword fighting, and talking like a pirate. This festival celebrates local fig history and culture with all kinds of fig-infused fun. Vendors offer fig-inspired foods, artwork, and more. The event includes live music, a traditional Ocracoke square dance, activities for kids, and a fig cake bake-off. Learn more: (252) 928-7375 or ocracokepreservation.org. Bring your flashlight and explore Oakdale Cemetery at night with Dr. Chris Fonvielle, Robin Triplett, and Eric Kozen. These historians will speak on the history of the cemetery and the funerary art seen throughout. Dance to live music by a variety of bands, including Wilmington Big Band, Dixieland All-Stars, and the Imitations; take part in a silent auction; and enjoy food and drink at this 21st annual celebration of music and community at the Blockade Runner Beach Resort. Learn more: (910) 256-2569 or wbmuseumofhistory.com.